Chris Stapleton will continue his extensive, sold-out “All-American Road Show” through 2019 with newly confirmed performances this summer and fall. The shows will kick-off July 9 at Allentown’s PPL Center and will span through November 2 at Louisville’s KFC Yum Center. Special guest openers for the Lehigh Valley date include Margo Price and The Marcus King Band. Stapleton Fan Club presales will begin Tuesday, January 29 at 10:00 a.m. local time. For more information visit www.stapletonfanclub.com. Tickets will go on sale to the public beginning Friday, February 1 at 10:00 a.m. and can be purchased at the QNB Box Office, PPLCenter.com, or by phone at 610-347-TIXX . Live Nation is the official promoter of the All-American Road Show. 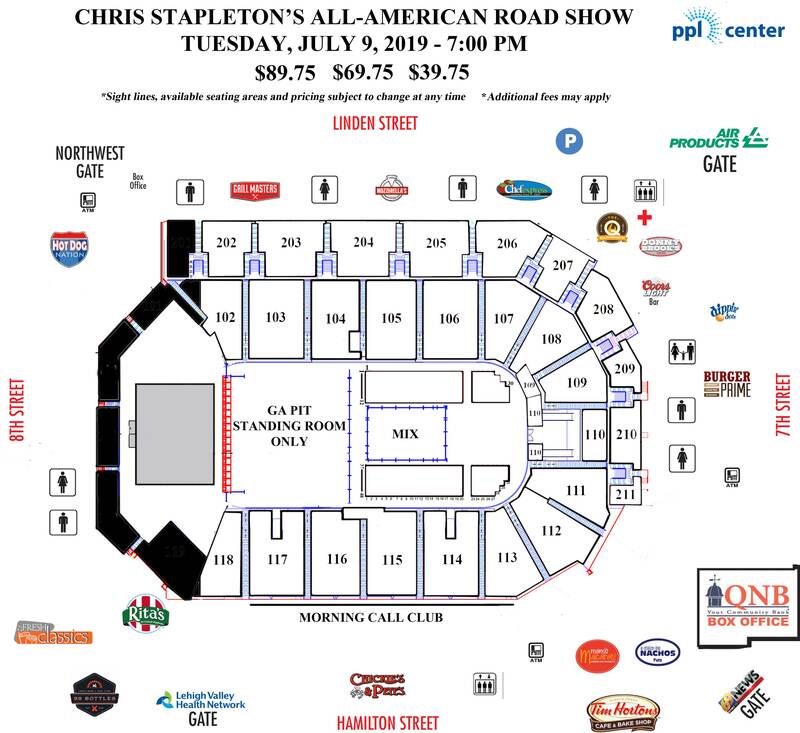 Citi is the official presale credit card of Chris Stapleton’s “All-American Road Show” tour. As such, Citi cardmembers will have access to purchase presale tickets for U.S. dates beginning Tuesday, January 29 at 10:00 a.m. until Thursday, January 31 at 10:00 p.m. through Citi’s Private Pass Program­­­­­­­­. For complete presale details visit www.citiprivatepass.com.